The New York to Detroit market was once crowded with trains, served primarily by the New York Central and Pennsylvania while the Baltimore & Ohio also offered fine services via Washington, D.C. The NYC's Detroiter was arguably the finest service on this route with a very fast schedule operating over subsidiary Michigan Central via southern Ontario. The train also boasted all-Pullman status for many years and was often the preferred method for many traveling between the two cities. As ridership declined NYC was eventually forced to drop the Detroiter from its timetable. Unfortunately, the train did not live to see 1960 and the corridor's premier duties were taken over by the Wolverine. According to Geoffrey Doughty's book, "New York Central's Great Steel Fleet: 1948-1967," the road's Michigan Central subsidiary through southern Ontario via Buffalo and Detroit was one of its busiest corridors, offering a unique secondary through route between New York and Chicago. While the line functioned wonderfully in this manner, and hosted many named trains, it proved especially ideal for the Detroit market where no other system offered such fast, direct service between the Motor City and the Big Apple. 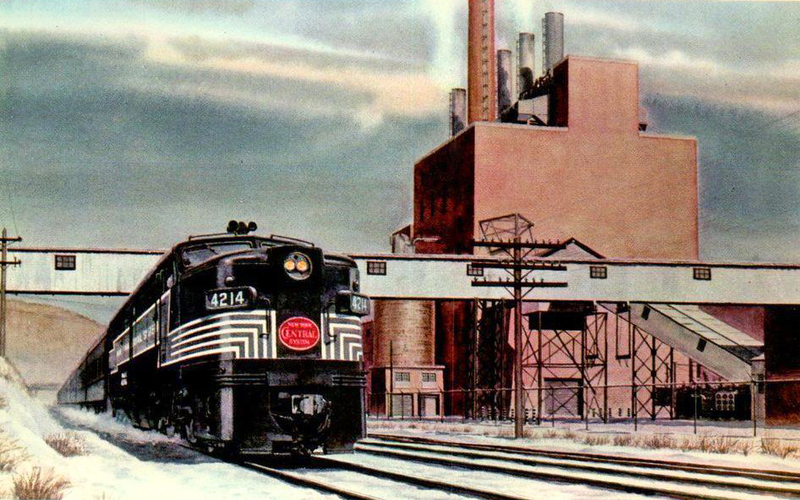 While rival Pennsylvania did its best to compete here with the Red Arrow, which provided travelers with a splendid array of accommodations, it could not compete with the speed of NYC's Detroiter and Wolverine. For purposes of this article we will focus on the Detroiter's later years of service, particularly during the streamlined era. The city for which it was named was once a very important corridor for the three principal eastern trunk lines as those on business regularly traveled there during its booming years of commerce (to a lesser extent there was also competition provided by the B&O which offered a wonderful train serving Detroit via Washington/Baltimore, the Ambassador). The NYC regarded the Detroiter, trains #47 and #48, as its third most luxurious train in the entire fleet according to Mr. Doughty along with the 20th Century Limited and Commodore Vanderbilt. These were the only three in the "Great Steel Fleet" assigned all-gray equipment and elite, all-Pullman status. For the Detroiter its status was so extravagant that, like its two counterparts, ran a blazing fast, limited-stop schedule completing the trip in around 13 hours (by comparison, the Red Arrow ran a schedule of about 15 hours). According to the train's 1944 timetable its consist was a diner, ten sleepers (all ran the entire way and for years none were picked up or dropped off en route), and no head-end cars. The Pullman service included two 6-double bedroom/buffets, one 17-roomette, one 10-roomette/5-bedroom (except Saturdays), one 13-double bedroom, three 4-compartment/4-bedroom/2-duplex rooms, one 14-section, and finally one 12-section/1-duplex room. After World War II the NYC purchased new cars and locomotives for its passenger operations, allowing the Detroiter (and several other notable trains) to be equipped with new lightweights. 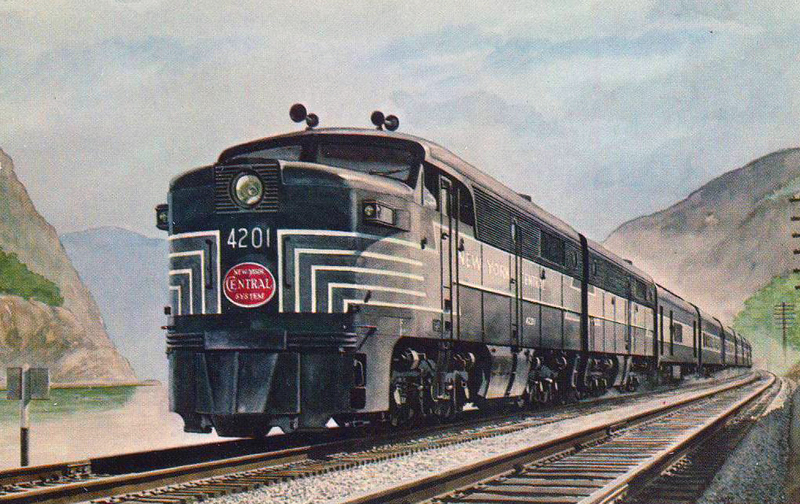 According to Mike Schafter and Joe Welsh's book, "Streamliners: History Of A Railroad Icon" on December 13, 1945 the NYC purchased 420 cars from Pullman-Standard, Budd, and American Car & Foundry constituting the largest single order ever placed for such equipment. These joined 300 others the railroad had on back-order placed before the war broke out; altogether they had cost a staggering $90 million. Some railroads, like the Central, for many years did not regard their gleaming streamliners as such. 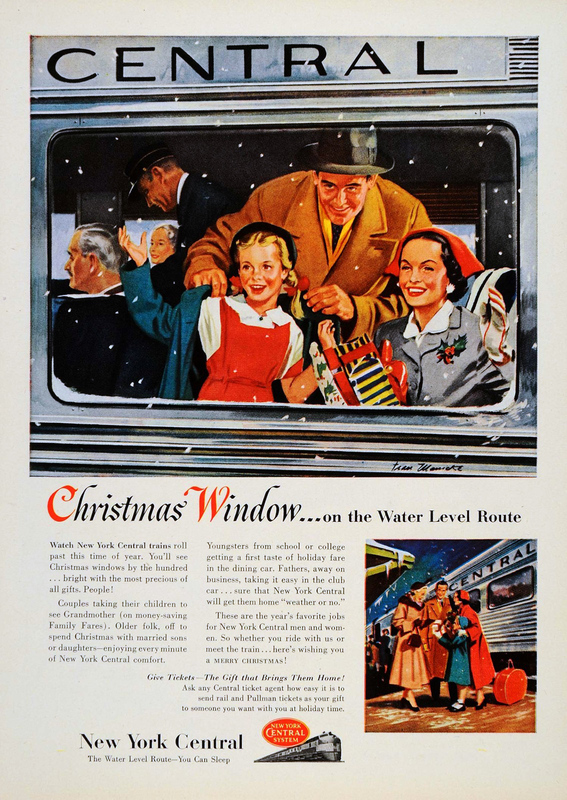 Instead, its particular term was "Dreamliners," which often appeared in print and advertising pieces. Unfortunately, the enthusiasm of high ridership experienced during the war would not last and began its unrelenting decline again in 1946. While the public abandoned trains for highways and airlines the Detroiter was still all-Pullman through 1956 but by April of that year began running with coaches for the first time. Incredibly, the train suffered an amazingly swift decline and eventual discontinuance from the timetable. By the fall of 1958 it still sported almost an all-sleeper consist but by April of 1959, with ridership still on the decline, the Detroiter was canceled. Ironically, PRR's Red Arrow outlived its rival, surviving for another year until the summer of 1960. The B&O's Ambassador also witnessed a quick fall from grace although its name remained for a few more years until 1965.